McTernan seeks political asylum. Are John McTernan’s days in Australia numbered? Julia Gillard’s Scottish communications adviser, of course, was working under the 457 visa scheme (the one the Labor government wants to regulate further to ensure Aussie jobs come first). According to the rules, people visiting on a 457 visa have 90 days after the termination of their employment to find another sponsor. McTernan wouldn’t comment on whether he has secured a sponsor, saying: "I won’t give a running commentary on visa issues." Perhaps Sky News, where McTernan appears regularly on The Contrarians, will lend a hand. 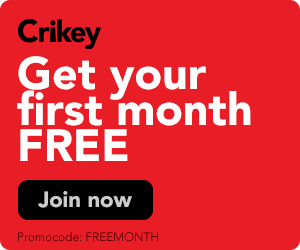 Crikey understands McTernan’s employment technically ended at the end of July, not the end of June when Kevin Rudd resumed the prime ministership. That gives him around 60 days to find a sponsor or he’ll be shipped back to the mother country. The new Temporary Skill Shortage Visas will require a higher level of English proficiency than 457s, right? Not so fast. The Turnbull government intends to scrap Medicare, renaming the system to the entirely new Medisave. Crikey readers discuss yesterday's edition.